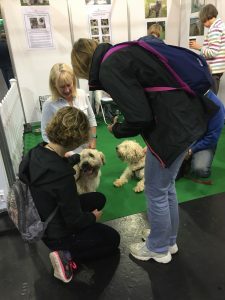 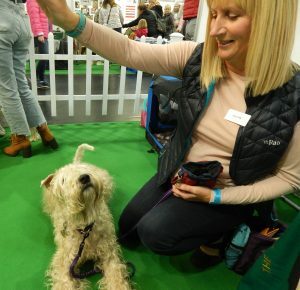 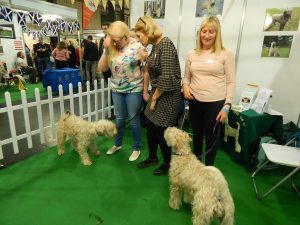 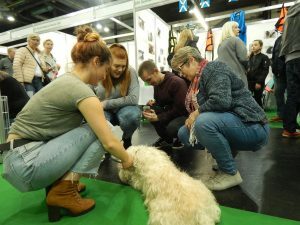 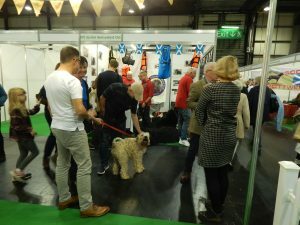 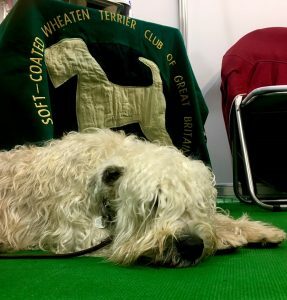 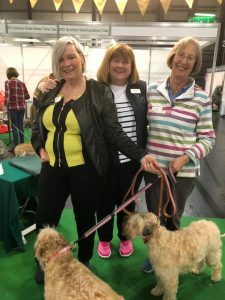 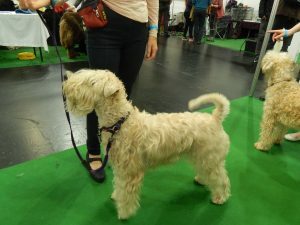 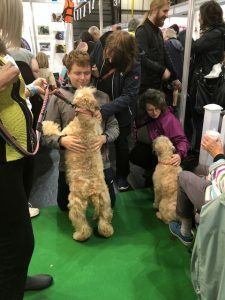 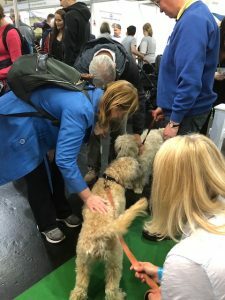 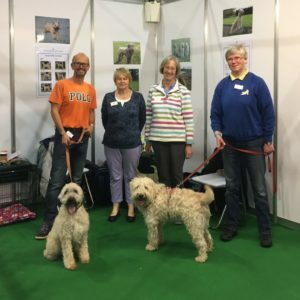 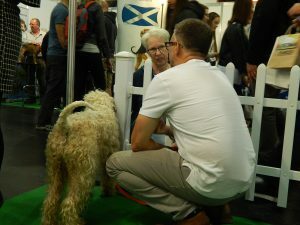 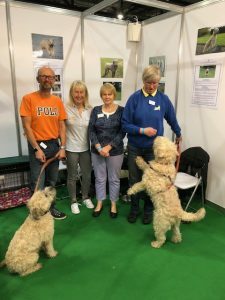 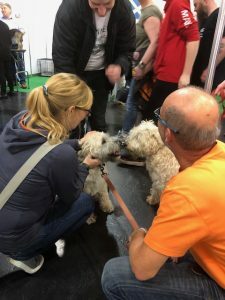 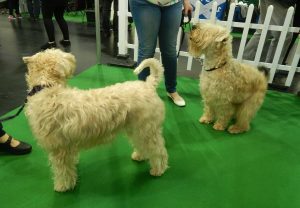 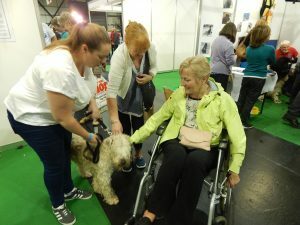 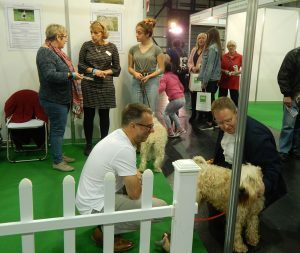 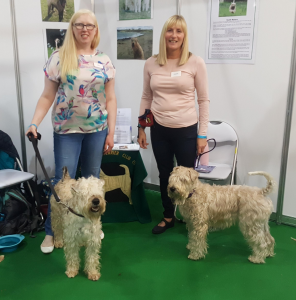 The first ever DOG LOVER SHOW was held at the SEC in Glasgow over the weekend of the 8th and 9th September 2018, and the Soft-Coated Wheaten Terrier Club of GB were invited to take part in the Breed Meet & Greet Area, which is a “Discover Dogs” type of event within the show. 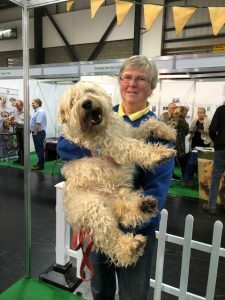 The following photos are a selection from across the two days of the event and shows the amazing Wheatens and their brave owners who managed to survive what was a very busy, but enjoyable two days. 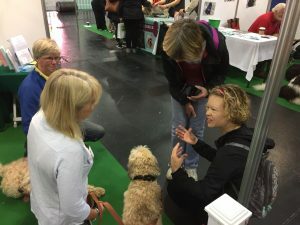 A big THANK YOU must go to the following Members and their dogs for agreeing to take part, meet the public and spread the word about our wonderful breed. 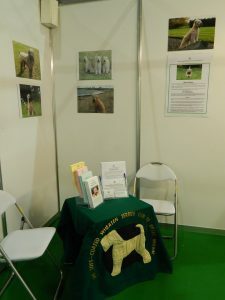 The calm of the night before – with the stand set fair and ready to go. 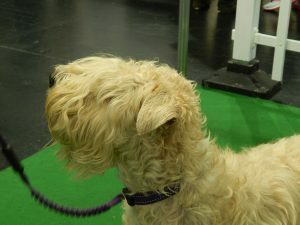 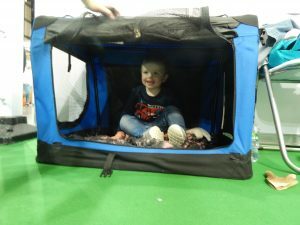 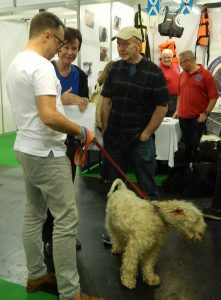 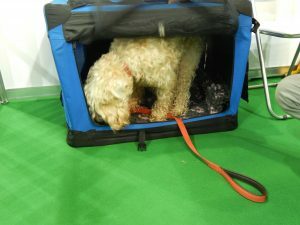 The strangest Wheaten we had on the stand – he did not want to come out and play!